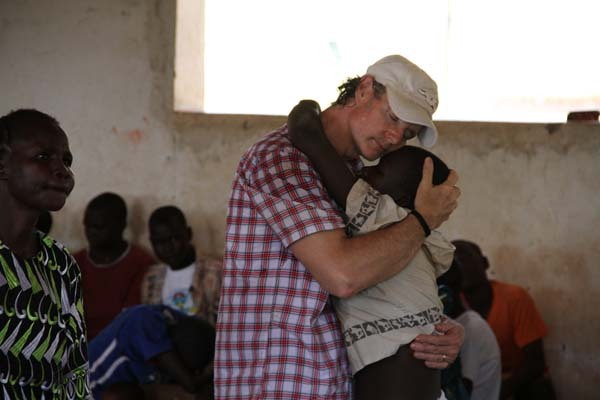 We are also seeking to help and support the ongoing work of Duncan Hill and the Uganda Orphans Fund. UOF is working diligently to rescue and help dozens of orphans in the war torn Northern border area of Uganda. Duncan has been rescuing these precious children since 2002. King of Glory Ministries wished to encourage you to visit Duncan's work on line at: www.ugandaorphans.com . Frequently, Uganda Orphans Fund acts as a ?general partner? and see to the ongoing care and support of the children once the home has been built. At other times, Uganda Orphans Fund acts as part of a non-profit ?syndicate? and assist with some financing only. Often, Uganda Orphans Fund works as the builder in a partnership, leaving the continuing support to another organization. Uganda Orphans Fund attempts to remain flexible so we can best meet the needs of the rescued orphans in each unique situation. The basic motivation for Uganda Orphans Fund was, and remains, LOVE. Help us rescue, nurture, and love Uganda's future leaders. For more information, please contact UOF.www.ugandaorphans.com . Please feel free to make a generous donation to Uganda Orphans Fund directly and help support the hundreds of children that Duncan is helping every day in Uganda click HERE .